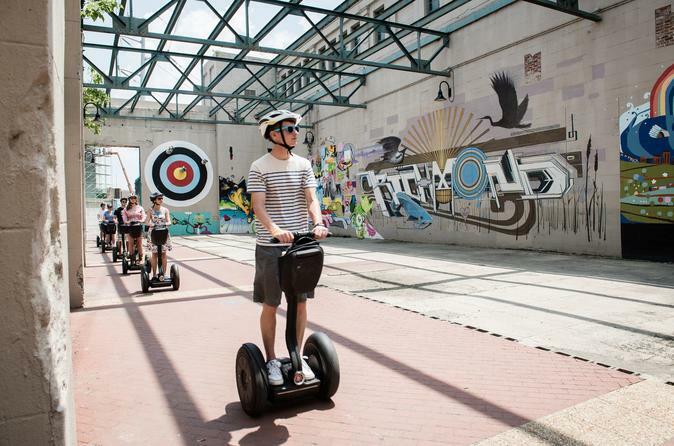 Our 2-Hour Public Art Segway tour will explore some of the many incredible murals around the city. Artists have been brought from all over the world to Richmond over the past 5 years to create amazing works of art on buildings around town. Their goal is to make Richmond a Landmark destination for internationally recognized murals and establish Richmond as a premier art destination. Richmond is known for its rich history, but it is also fast becoming a premier art destination, along with cities such as Philadelphia, Baltimore, and San Francisco. Artist from around the world have been brought to our city to create amazing murals that have been changing the way the world sees Richmond. The goal of the Richmond Mural Project was to have 100 murals by 2016, and they succeeded! Not to say they are finished. This was only a short term goal, so we should fully expect more artists back in the following years. See and experience some of the best of these murals from artists of all different backgrounds and all different nationalities on our Segway tour.